Before we get too caught up in bad referees, choke jobs and deflated balls, let's stay positive and reflect on the playoffs and the Super Bowl ahead! The best game, by far this postseason, was Baltimore and New England. It was a pure slugfest! Just when everyone thought Joe Flacco was a one-hit wonder and an overpaid quarterback, "Cool Joe" earned his nickname yet again, dueling with one of the greatest of all-time. In what felt like a heavyweight fight, Brady barely outlasted his counterpart, but it was not without some legendary and dramatic exchanges. Some people are calling this a great game or one of the greatest they've seen in recent memory. I strongly disagree. It was one of the most boring games you'll ever see for about 58 minutes. However, it was the most entertaining finish this playoffs, and one both fan bases may never forget. When Brandon Bostick let the ball go through his hands and into the arms of the Legion of Boom, I could not help but think of 2012, when Kyle Williams fumbled the ball for the 49ers against the Giants in the NFC Championship. 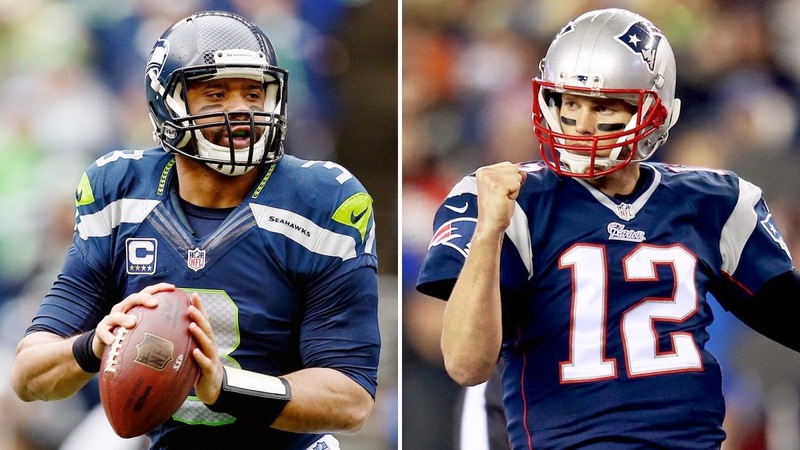 The timing of both changed Super Bowl berths (maybe fates? ), and will have fans playing the "What if" game for a long, long time. Like it or not, it's a quarterback league, and they eat up story lines, as well as blame. Before we get into the major players, let's first touch on the team everyone has forgotten: the Arizona Cardinals. It was an incredible season for them, and injuries certainly played a significant role in their playoff exit. Bruce Arians is one heck of a coach, and the team looked on their way to a first round bye until injuries set in. It would've been nice to see what they would have been able to do with a healthy Carson Palmer, or even Drew Stanton, in that Wild Card Game. Now, on to the popular ones. Tony Romo had the best season of his career in my mind, but he didn't do himself any favors in terms of legacy. On the other hand, Andrew Luck showed some real signs of elite progression when he defeated Manning, albeit with Manning's injury. Despite losing badly to the Pats, I keep saying Luck does more with less than any QB in the game. Just give him time to reduce some of the human and inexperienced errors, and maybe a few more weapons and a defense to boot. Next is Aaron Rodgers, who could only stand on the sidelines for the finals minutes of regulation and all of overtime. This game was entirely not his fault. He played a good game, especially considering he was not close to 100%. His defense stepped up like never before, but a couple fluky plays determined the fate of this one. That guy should've returned that interception to or near the house in the final five minutes. You can't take anything for granted in this league, and certainly, many of us assumed Rodgers would have another ring or Super Bowl appearance by now. Then, there's that guy named Tom Brady. Remember in the first month when people and the media wanted to cast him off as over the hill? Now, people are saying he's still the best quarterback in the league. The fans have a real treat on their hands with this one. It's a battle of the league's two best teams on the grandest stage of them all, and weather will not be a factor. So many story lines: Will Seattle repeat? Can Brady and Belichick add to or cement their legacy? What happens to Marshawn Lynch post-Super Bowl, and will the result change that? Carroll vs. Belichick. Player matchups. Deflategate. I'm so over that last one, but the rest should be great! For me, this is a legacy-defining game. Seattle is looking to win the rare back to back, and perhaps begin a dynasty. On the other side, it's just two of the very best of all time trying to shake off some of the past and rekindle some of the magic they've shared three times. If Seattle wins, a juggernaut emerges that few ever saw coming a few years ago. Also, Russell Wilson will have to be in the discussion for top playoff quarterbacks, as painful as it is for me to admit. Moreover, Pete Carroll can start to be in the discussion for top coaches in history. It's truly remarkable how he has turned the franchise around, and won this much this fast. However, if the Pats can pull it out, Brady vaults way ahead of Manning, who couldn't defeat Seattle last year. It is one of the best debates in sports history, but if Manning can't win another ring or two, and Brady wins this one, it's all but over in my mind. Manning is a fantastic quarterback, and you can argue a better one in general, but Brady's accomplishments, along with Manning's playoff record, stands out way too much. This game should be really solid, and I don't see a blowout happening at all. Given the injuries to Sherman and Thomas, the balance and weapons of the Pats that they haven't had in their last two Super Bowl appearances, and my belief in Brady over Wilson, I have to go with the Pats. Pats win 24-20. Enjoy the "Big Game!" 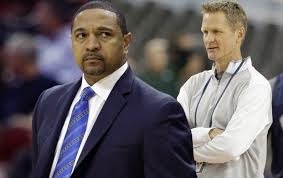 In the summer of 2011, the Golden State Warriors surprised fans everywhere in making the shocking hire of then ESPN commentator Mark Jackson as head coach. It was a sign of the things to come for the upstart Warriors franchise that had been reinvigorated by a much-needed change in ownership and the emergence of superstar point guard Stephen Curry. Despite zero coaching experience, he was presumably hired for his ability to bring in East Coast media attention, spout out popular league catchphrases, relate to the players, and most importantly, at least preach defense. Ownership allowed Jackson to assemble his own staff, but also pushed for the hiring of defensive guru assistant coach Michael Malone to assist with the X’s and O’s and supplement Jackson’s inexperience. In a lot of ways, Jackson was a necessary personality for a franchise that lacked a recognizable identity since the departures of colorful former head coach Don Nelson and controversial point guard Baron Davis. The question still remained though: could he coach and could he “change the culture” in Golden State? I always wondered what that question meant when media outlets, particularly those on the East Coast, praised the hiring. Were they talking about the losing culture that had plagued the franchise for 15 out of 17 years prior, or were they talking about the Warriors culture of playing up-tempo, fast paced basketball? The more I listened and the more I watched Jackson speak and coach, I took it to mean “changing” the latter of the two. The 2012-2013 season, however, brought greater success and expectations, as the defense spiked in efficiency all the way to 14th in the league, thanks in large part to the infusion of players, such as Andrew Bogut, Jarrett Jack and Carl Landry, into the lineup. Offensive efficiency-wise, the Warriors made gains to 11th in the league, due to an increase in pace out of necessity when Bogut went down with a back injury during the regular season. The Warriors were forced to play a smaller and faster unconventional lineup without a true center for most of the season and excelled, going 47-35 and clinching a playoff spot. Once again in the playoffs, Jackson’s hand was forced to play small with David Lee missing major time. Rookie forward Harrison Barnes thrived and the result was a first round upset of the Denver Nuggets and a near upset of the San Antonio Spurs, in which the Warrior guards exploded. Once again, an unconventional and fast style worked, which went against the traditional style Jackson so dearly loved. The 2013-2014 season marked a season of change with Michael Malone leaving to become the head coach of the Sacramento Kings and the loss of contributors Jarrett Jack and Carl Landry. The Warriors management addressed these changes by bringing in veteran super subs Andre Iguodala and Jermaine O’Neal. Coach Jackson had say in his staff and brought in the inexperienced Brian Scalabrine to replace his head tactician, which had been Malone. He also reimplemented a traditional lineup and slower pace that, despite finally healthy, regressed to 12th in efficiency, while the defense continued to improve to 4th in the league. In spite of a full roster, the Warriors finished only marginally better at 51-31 and drew the LA Clippers in the first round of the playoffs. Seemingly again, Jackson was dealt another blow as Bogut missed the end of the regular season and the entire playoffs due to injury. Forced to play the small lineup, the Warriors rallied and played their best basketball of the season, pushing the Clippers to 7 games and nearly pulling off the upset. Fittingly, much like the Mark Jackson era ended against the same Clippers team, it had begun against with a closer, though unfortunately, similar result. A talented and traditional lineup at his disposal and the ability to prove his coaching style, it proved that he was was more substance and less talk, little to no improvement on the offensive end resulted. Credit where credit is due, the team made significant strides defensively under Jackson, though much of that credit belongs to the system that Michael Malone implemented. The Warriors shined when they went small and pushed the ball up the court and struggled to find any rhythm when they went traditional and slow. The insistence of the head coach to not go with what worked was bullheaded and wrong. During Jackson’s tenure it’s fair to say they were consistently outcoached and outschemed from the start of the fourth quarter through late in-game situations, and more often than not, they relied on Stephen Curry isolations to bail them out. In his final days, he lacked a quality assistant coach’s voice, one who could make up for his lack of creativity and stubborn laziness. The East Coast style of basketball that Jackson heralded failed the roster and failed the team. In the Western Conference with loaded teams on the slate, trying to grind out defensive games is not the way to succeed. After all, this is the West Coast. Basketball is meant to be played up-tempo, a precedent set by the fast paced model shown by the “Showtime Lakers” of the 1980s and RUN TMC Warriors of the early 1990s, and even the Sacramento Kings of the early 2000’s. Fans want to see points and lots of them. This was something Jackson was never going to accept, understand or embrace. Enter Steve Kerr, who, at the time of Jackson’s dismissal, was a commentator for TNT, working on the NBA Playoffs. He was a former Yahoo Sports columnist and former General Manager of the Phoenix Suns, had no prior coaching experience, and was likely headed to New York to be reunited with mentor Phil Jackson and the Knicks. All of that until the Warriors management came knocking and then knocking again in their feverish courtship of the former 5-time world champion. Kerr had grown up in Southern California and starred at the University of Arizona, and for all accounts was a West Coast guy so it made more sense for him to start his coaching career with the superiorly talented and organized Warriors, although that’s not what the media was selling. To them, the Warriors were merely a formality in the process, and the East Coast allure would draw him to that opportunity. Meanwhile, an informed fan was wondering what kind of style he would prefer and what kind of coach he would be. It was presumed that he would run a triangle offense, much like the one he played in, especially if he were to choose New York. It was the Mark Jackson frenzy all over again. The media told us what he would run and where he would run it, despite never having seen him coach before. It was absurd. It was speculation. It was lip service. It wasn’t Steve Kerr. It wasn’t his style. Much to the delight of this blog, Steve Kerr shocked many and turned down his mentor and the Knicks and accepted the position of head coach of the Golden State Warriors. He couldn’t abandon his West Coast roots, his Southern California home and the teachings of former University of Arizona head coach Lute Olson’s successful up-tempo offense. He had seen the Warriors many times up close, he had had won with up-tempo basketball and he knew that suited the Warrior’s roster the best. He wasn’t on a mission to project a particular style onto the players; instead, he tailored what he knew worked best for them in the past. He was the anti-Mark Jackson. He came not to preach, but rather, to teach. In order to accomplish this, Kerr knew he had to take advantage where Jackson had not, in terms of resources and those he surrounded himself by. He turned to Alvin Gentry, who was his former head coach in Phoenix and is considered one of the top offensive assistant minds in the game, convincing him to leave the rival Clippers for a lateral position. That Impressive move, along with bringing in defensive veteran assistant Ron Adams, gave him another experienced and diverse voice on the staff. The 2014-2015 season has started out with a bang for the Warriors, who, at 27-5, currently hold the best record in the entire NBA, off the heels of a recent franchise record 16-game winning streak. The offense is thriving, pushing the ball more consistently and looking for points in transition every opportunity they get. They own the fastest pace rating in the league and improved their efficiency to 8th in the league. On the defensive side of the ball, they rank first in defensive efficiency and look much improved. These results beg numerous questions about the so called “culture change” that the pundits demanded. Taking a deeper look, it becomes even more questionable considering the fact that Lee and Bogut have missed significant this season. The up-tempo style Kerr has installed is winning and winning at a high level in the ever-brutal Western Conference. Kerr and the Warriors continue to show all of the East Coast pundits (including newly rejoined member Mark Jackson) out there that maybe the “change of culture” wasn’t really necessary, and that maybe it was only more of an educated tweaking that was required. With TV celebrities and personalities, it's often hard for us to know who they are as people. 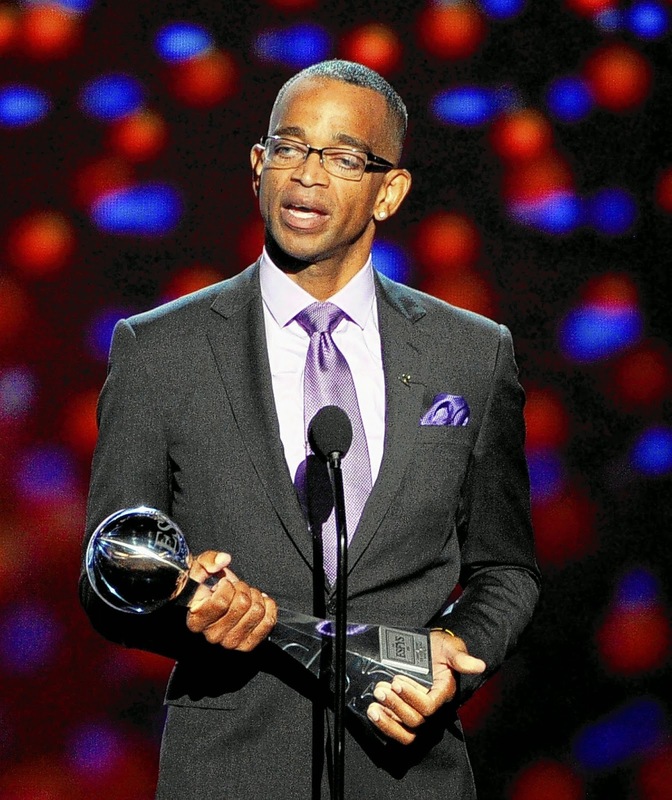 But, with Stuart Scott, we've found out quite a lot in the last few years. In Scott's most recent battle with cancer, he opened up to the public like never before, delivering one of the most inspirational speeches I've heard, as he accepted the Jimmy V Award at the ESPYS. Athletes loved him, sports fans liked him and aspiring broadcasters wanted to be him. For more than 20 years, Scott graced our televisions and quickly became one of the very best sports anchors in history. With catchphrases like "As cool as other side of the pillow" and "Boo-yow," he entertained us. Yet, it was not until his third and final battle with cancer and his epic speech that we really got a look into his thoughts and perspective. The strength, courage and conviction he showed puts life into perspective. If we are able to display just half of the fight, hard work and unwillingness to fail that he displayed over the years, we just might turn out alright. As Scott says, "You beat cancer by how you live, why you live and in the manner in which you live." If you agree with me that those words are true, then he beat cancer. We have lost a true pioneer in the business, but more importantly, we lost a warrior that stared adversity in the eye and beat it. Thanks for all the memories. I am an account executive for Cytron and Company, where we do writing, editing, marketing, PR, communications, media relations and social media work for accountants, financial planners and more. I also do freelance sports writing.